December is traditionally a period when we look back at the past year and pick successful and less successful events that marked the year on the local wine scene. Fans of Mediterranean atmosphere have their own quiet harbor in Belgrade. Spending time in the beautiful garden of Mezestoran Dvorište restaurant in the very heart of the city will convince you that Belgrade is certainly a Mediterranean city despite its being hundreds of kilometres away from the sea. I was somewhat hesitant whether to visit Župa during the Župa Harvest Feast. The very thought of festive atmosphere, large crowds, shanzhai products, cheap underwear made in Arilje, soy burgers and plonk sold in plastic bottles brought me close to the brink of cancelling the trip. Count Alexandre Pierre Odart was born in 1778. He gained world fame thanks to his research work in viticulture. In the period between 1805 and 1840, Count Odart collected 479 grape varieties from 14 countries: France, Germany, Italy, Hungary, etc. It’s time to take a bottle of Hungarian wine, pour it into a glass and taste, then switch laptop on and share your impressions online! Despotika Winery is located in the village of Vlaški Do in the vicinity of Smederevska Palanka. This winery features vineyards scattered across two wine regions: Šumadija and Belgrade. In Denmark, a process lasting 7 years has just been completed, so wines from the town of Dons (in the vicinity of Kolding fjord) have finally earned PDO wine status. As reported by Independent National Gazette of Rasina District, Serbian Orthodox monastery Studenica will have its own vineyards in Župa region again after more than 140 years. Yesterday, on May 1st, 2018, abbot Tihon from Studenica monastery accompanied with monks and local priests blessed the vines and future vineyard. During his lifetime, Pablo Picasso has also done film posters. One of them was the poster for the most expensive Yugoslav film of all time “The Battle of Neretva” directed by Veljko Bulajić. On the second day of ProWein, your feet already start to ache due to miles travelled between scheduled tastings and stand visits. Yet, the tight schedule leaves no time to unwind. EXPANSION OF TIKVEŠ VINEYARDS IN FRANCE? The Slovaks launched a project and activities a few years ago to bring wines from the Danube region closer to European winelovers. The goal was to improve wine identity of countries through which the Danube flows and which constitute the vinegrowing heart of Europe. 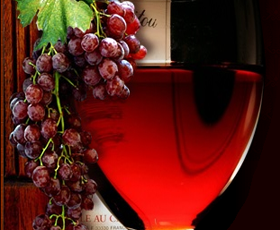 An inevitable companion of every winelover, both an amateur and a professional, is his/her diary. A place where comments and tasting notes are kept, a reminder that we can consult later on when we need info about a winery or wines that we tasted.